Hank is a 7 time Hall of Fame inductee, including the U.S. Business Hall of Fame, Rock N’ Roll Hall of Fame and UNICEF International Hall of Fame. His new book “Non-Profit Legends,” is nominated for the Pulitzer Prize! Hank is the highest level of business overview expert and is in that rarified circle of experts such as Peter Drucker, Tom Peters, Steven Covey, Peter Sengie and W. Edwards Deming. Drucker termed Hank Moore’s Business Tree™ as the most original business model of the past 50 years. Hank is a 7 time Hall of Fame inductee, including the U.S. Business Hall of Fame, Rock N’ Roll Hall of Fame and UNICEF International Hall of Fame. His new book “Non-Profit Legends,” is nominated for the Pulitzer Prize! Hank is the highest level of business overview expert and is in that rarified circle of experts such as Peter Drucker, Tom Peters, Steven Covey, Peter Sengie and W. Edwards Deming. Drucker termed Hank Moore’s Business Tree™ as the most original business model of the past 50 years. More about Hank at HankMoore.com. The Spotlight is on iTunes! 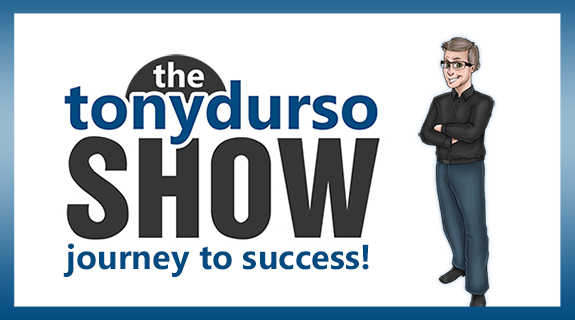 Check out The Spotlight with Tony DUrso on iTunes. Check it out and leave a review! Dr. B has well over 40 years of experience in education as a senior level administrator and a university adjunct professor. She served on a number of local, state and national boards in leadership roles and received numerous awards for her expertise. More about Dr. B at transformationforsuccess.com. The Spotlight is a one-hour weekly Internet Radio talk show on the VoiceAmerica’s Influencers Channel, which brings a conversational and entertaining angle into the exciting world of Hollywood Stars, Sports Greats, Game Changers and World Renown VIPs. Voice America boasts over three and a half million listeners across their channels with an expected growth spurt to 10 million. Revenue Chat is a weekly podcast that uploads every Friday. Each episode, averaging 10,000 downloads, features an Elite Entrepreneur who achieved success in business through hard work and overcoming adversity. EP128. Linda Hollander: How To Get Funding from Sponsors! EP129. Robert Klinck: Harnessing The Power Of Your Intellectual Property Rights!